Anoxic and Hypoxic Brain Damage are some of the most common causes of lasting traumatic brain injuries. Lifelong brain injury is frequently the result of the brain not receiving sufficient amounts of oxygen. This can occur in swimming pool accidents, as a result of medical negligence, birth injury, negligent landlords causing carbon monoxide poisoning, brain injuries caused in automobile and truck accidents, and injuries occurring on construction sites. What is cerebral anoxia and cerebral hypoxia? Anoxia and hypoxia are both terms that refer to the lack of oxygen to the brain. Many times these terms are used interchangeably. It is a matter of degree; anoxia referring to brain damage caused by a total lack of oxygen to the brain and hypoxia referring to a decrease or limited amount of oxygen reaching the brain. 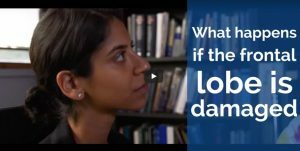 What are the causes of anoxic brain trauma & hypoxic brain damage? Anoxic brain injury as well as hypoxic brain injury can be can be caused by brain trauma as a result of carbon monoxide poisoning, drowning, choking, suffocation, head trauma, severe bleeding, drops in blood pressure and stroke. Anesthesia errors and other surgical errors are also frequently causes of diminished blood supply to the brain resulting in anoxic brain damage. Brain damage as a result of lack of oxygen is also seen in newborns, frequently as a result of medical negligence in the delivery of the baby. Each traumatic brain injury is unique – no one symptom is common to all victims. Symptoms of hypoxic brain damage as well as anoxic brain damage depend on the degree of oxygenation deprivation and the length of time that the brain has been deprived of oxygen. Frequently individuals will be inattentive, will suffer from poor judgment, and will have memory loss and poor motor coordination. If the lack of oxygen to the brain lasts for several minutes, an individual’s brain cells will begin to die resulting in permanent brain damage, coma, seizures or even death. What is the treatment for anoxia and hypoxia? The treatment for anoxia and hypoxia involves restoring an individual’s blood pressure and the supply of oxygen to the brain. It may also involve blood transfusions, administration of oxygen and medication to control seizure activity. How much brain damage takes place following cerebral anoxia and cerebral hypoxia? The extent of brain damage depends on how long the brain was deprived of oxygen. It is well known that it only takes a few minutes of oxygen deprivation for brain cells to begin to die. The longer the brain has been starved from receiving necessary oxygen, the greater the degree of injury to the brain or chance of coma or death. Persons who recover from oxygen loss frequently have memory loss, personality changes, behavior changes, amnesia, hallucinations, and muscle damage. Unfortunately, where there has been significant oxygen loss, the brain is severely damaged resulting in coma. Since the brain damage is extremely severe, the prospects for a good recovery are very limited. New York brain injury experts at the acclaimed Brain Injury Law Firm® of De Caro & Kaplen, LLP are experienced in representing individuals and their families for the long lasting brain damage that may occur when the brain is deprived of needed oxygen. Our brain injury lawyers have successfully handled cases of anoxic and hypoxic brain damage caused by carbon monoxide poisoning, drowning, and head trauma. We have successfully represented individuals whose coma and life lasting brain injury resulted from a lack of oxygen as a result of medical malpractice, including anesthesia malpractice, obstetric malpractice, and surgical malpractice. 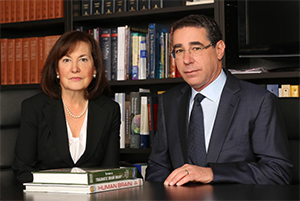 New York brain injury lawyers Michael Kaplen and Shana De Caro will review the facts of your accident and the brain damage sustained without charge or obligation. If they can assist you they will provide legal representation on a contingency fee basis, meaning that they are only owed an attorney fee at the conclusion of the case if they are successful. Contact them toll free at 1 (866) 272-4652 to discuss the brain damage caused to your or your loved as a result of an accident, carbon monoxide poisoning, drowning, or medical malpractice.